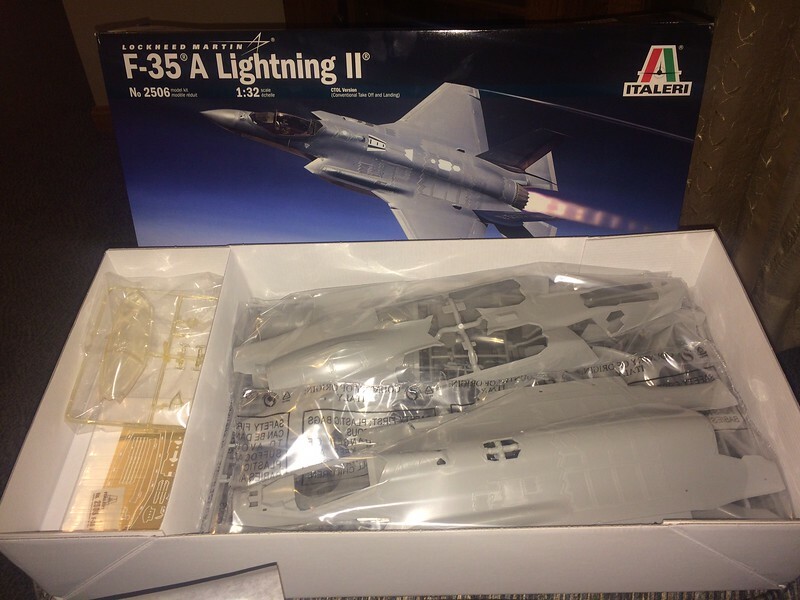 I'm going to weigh in on this one with my Thunderbirds version of the Lightning II. 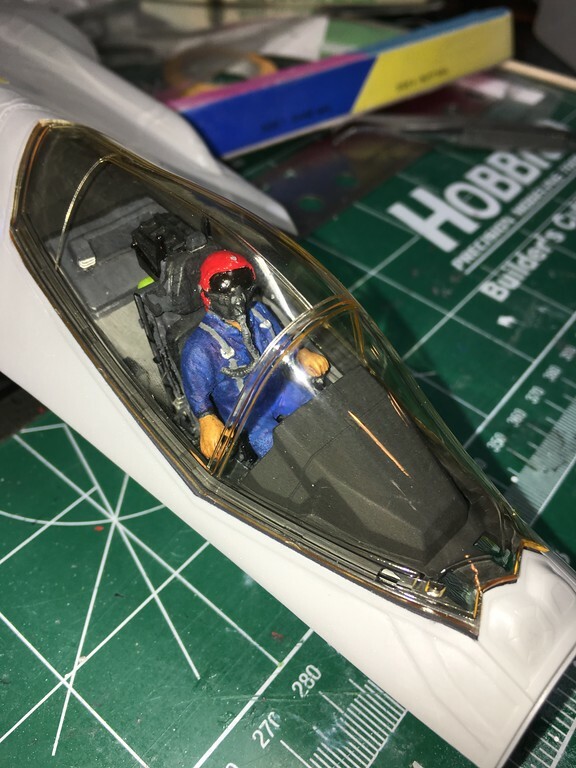 I've opened the box and done some prep work on the fuselage but haven't applied a drop of glue yet. 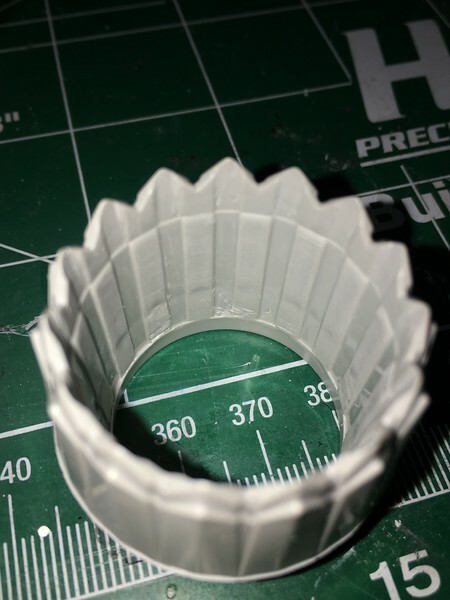 This GB should keep me focused during the summer but I bet most of my building time will start in the Fall. Bet this plane is going to be popular. 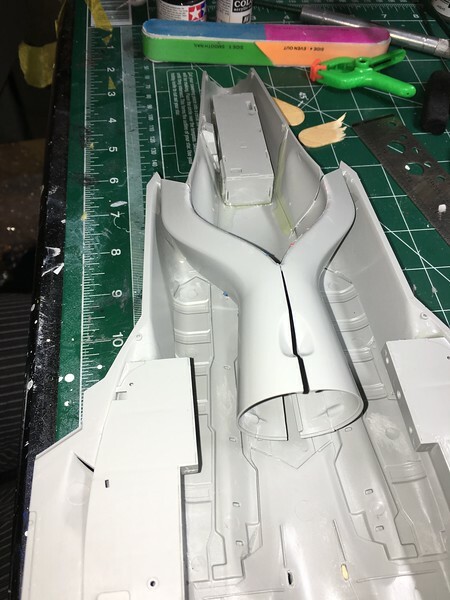 The kit is really sweet so far and looks like it will go together cleanly. Edit-updated pic from lost pb link. Let's make it into a wonderful Lightning 2!!! I'll follow with pleasure! It'll be interesting to see it in T-bird colors. Let's see if smugmug works. 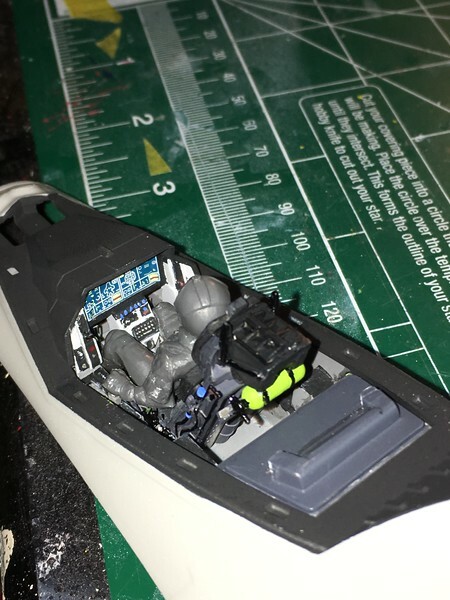 I started putting pieces together this weekend, some more sanding to soften edges, and assembling the cockpit. Really taking my time trying to do something better than last time. Interested on seeing how the rework goes on the raised details. Hey looking good ... your F-4 looked terrific in thunderbirds colours, I'm keen to see how this one unfolds. Good luck! 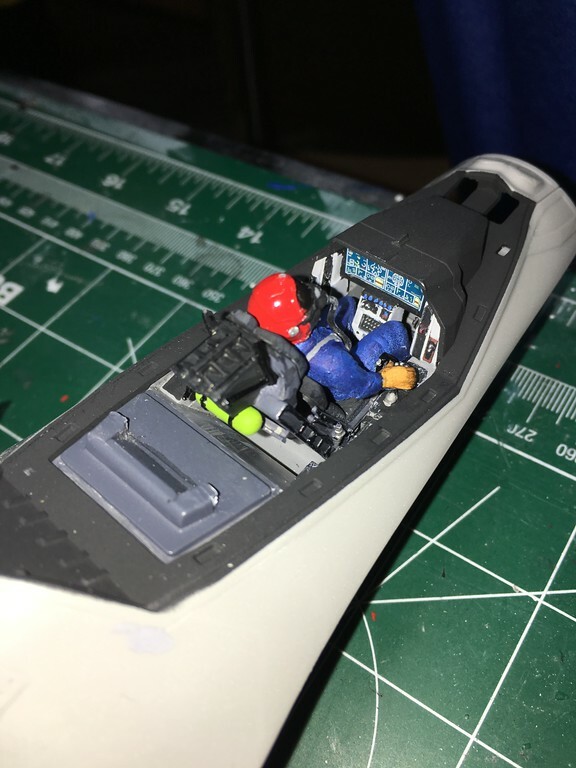 Here's a few of my cockpit progress so far. I'm hoping you can see the pattern i put on the seat. I layed cheesecloth over the satin black and sprayed dark grey through it to creat the cloth look. Also worked for the carbon fiber look on the sides. Added some scrathbuild elements based on pictures of the A model I could find. Sometimes hard to tell whether it's the simulator or not until you've looked at a couple hundred lol. 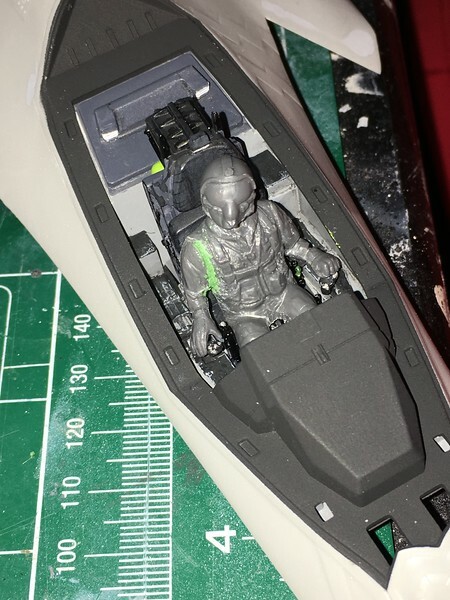 Lastly I finally found a closeup of the right side behind the cockpit to verify the lightning bolt pattern isn't there. I sanded that off flush and now i think the fuselage is done on top. Trying Smugmug. Here's a pic of the sink holes in the intakes...hopefully I can get back on this over the weekend. Summer has been the time for the beach and a lot of yard work this year. 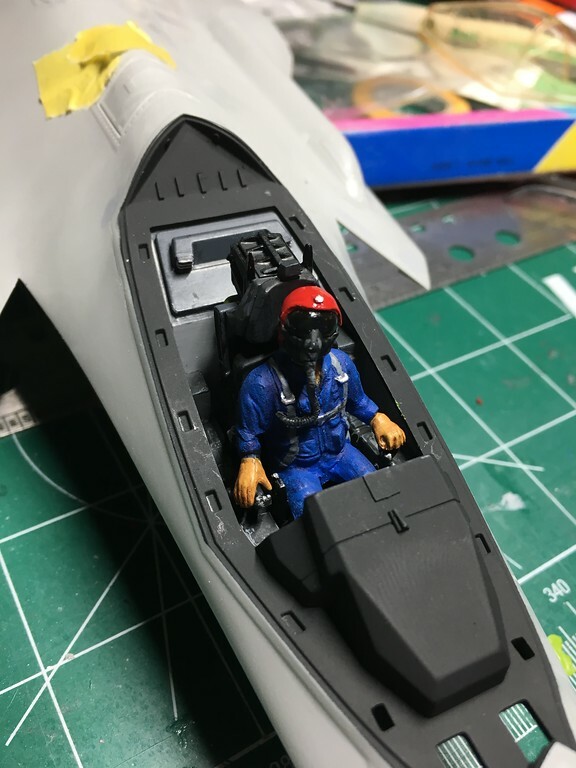 I got a few airbrush lessons at the Nats so I plan to redo some of the cockpit, especially the oxygen bottle which I'm embarrassed to post until I redo it now. I've made some more progress and am almost done with the office. Made good use of the air brush training I got at the IPMS Nationals. This is all vallejo paints. Previously i would have used a whole cup of paint but now I'm down to 4 drops. I have much more control now that I'm not using the airbrush as a spay can lol. 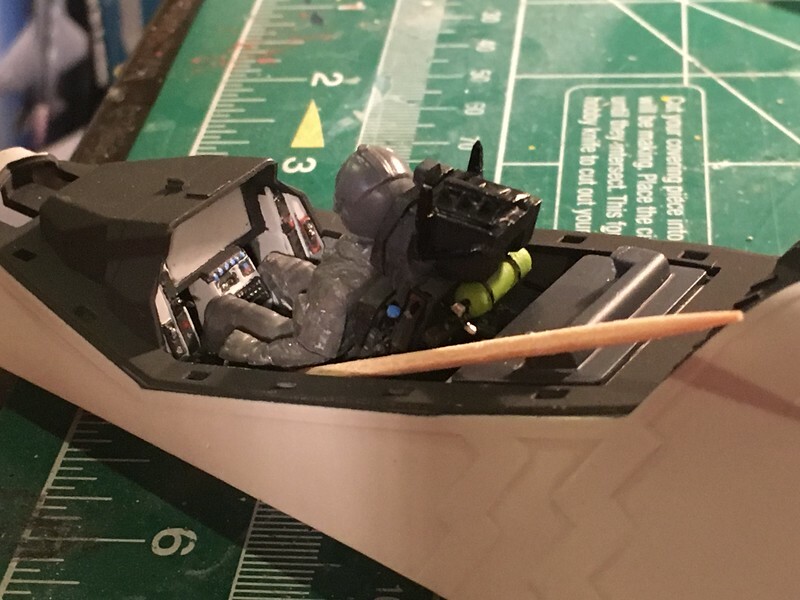 Getting closer to closing up the fuselage. 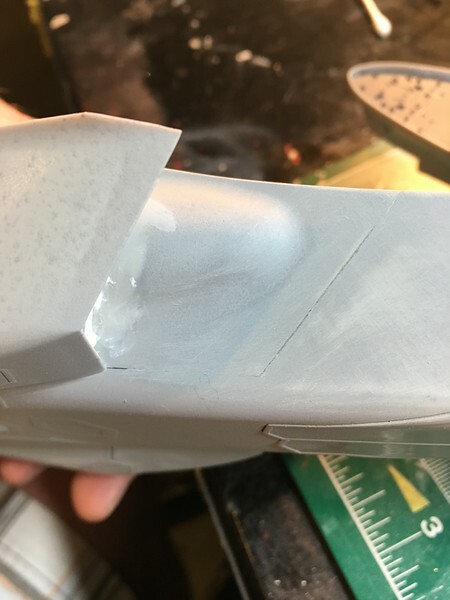 I had trouble with the sides of the fuselage that make the inner side of the intake trunks. When trying to sand the seems down I broke each one of them off in turn. 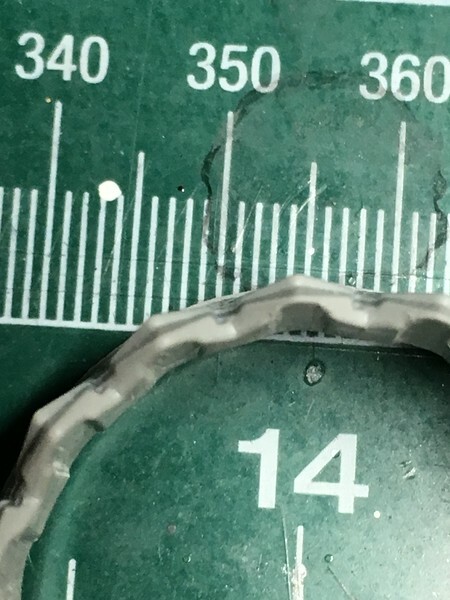 I ended up using 5 minute epoxy on these. Probably better as it closed up some of the gaps. 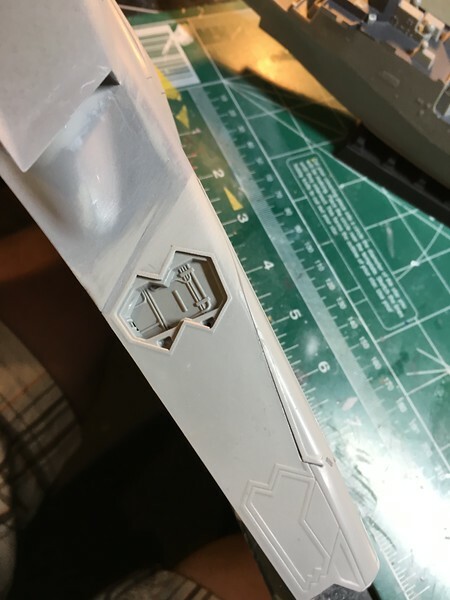 I took a different approach to the intake tracts then what I've seen so far. Everyone says they don't line up at the inlet. So I started at the inlet and worked my way back. To get them to line up they won't come together in the rear but since you can't see any of this I don't think it really matter. 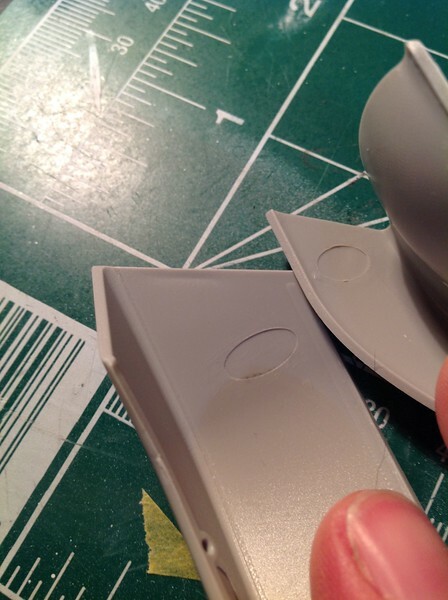 Much better to minimize the filler inside the inlets. 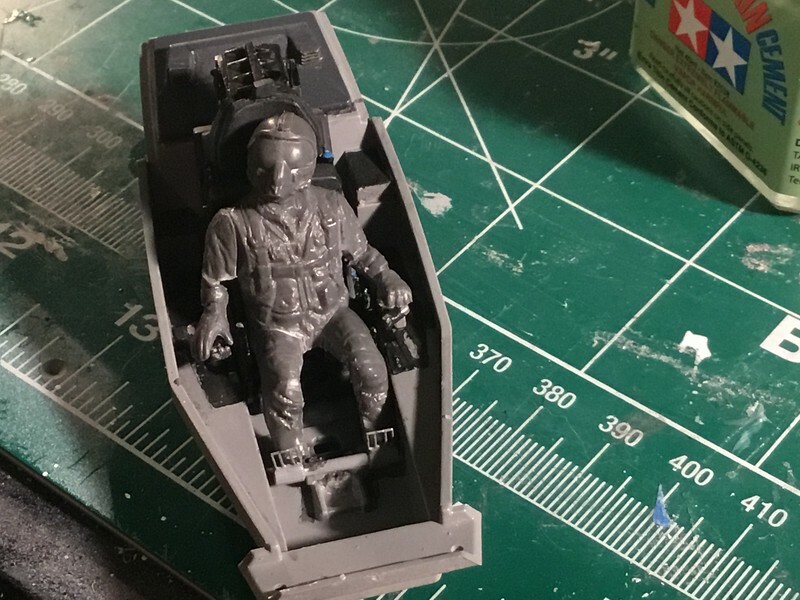 The exhaust nozzle are junk if you ever image someone looking at your model, although I'd argue I wouldn't be happy just knowing they looked like this. I don't think it's possible to get every sink out of these. I did start to thin out the turkey feathers though while I was trying to make them look better.